This Sidney Crosby Pittsburgh Penguins white Reebok premier jersey has been hand signed and is a great addition to any collection. A Certificate of Authenticity is included.A Frameworth Hologram and Certificate of authenticity are both included to ensure the legitimacy of the autograph. Frameworth does not guarantee jersey sizing but typically stocks L or XL. 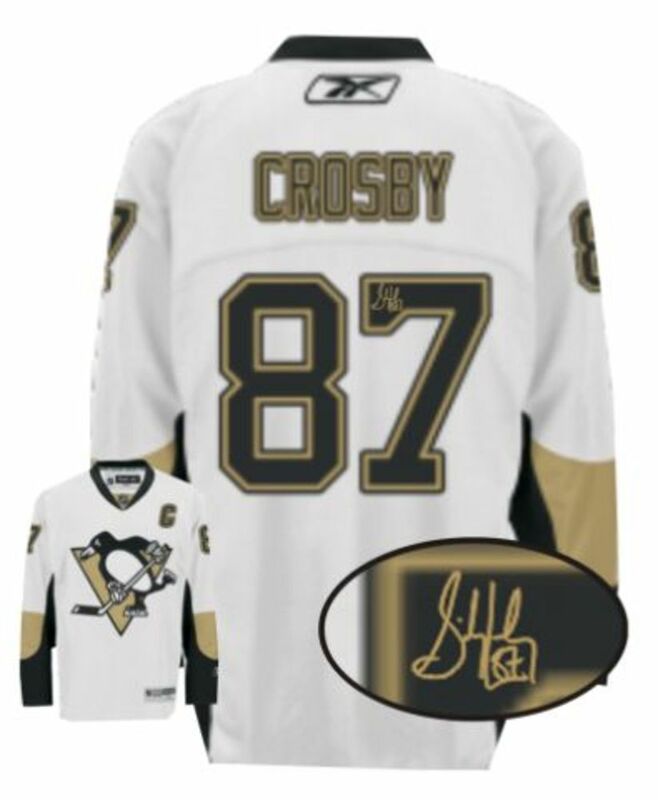 Frameworth Sports Marketing is the official autograph provider of Sidney Crosby memorabilia.